The school, founded in 1972, was the first professional language school in the historic town of Torquay. The school, founded in 1972, was the first professional language school in the historic town of Torquay. Our school, surrounded by peaceful gardens, is located in the city center and is an ideal place to prepare for IELTS or Cambridge exams (FCE, CAE, CPE) place. 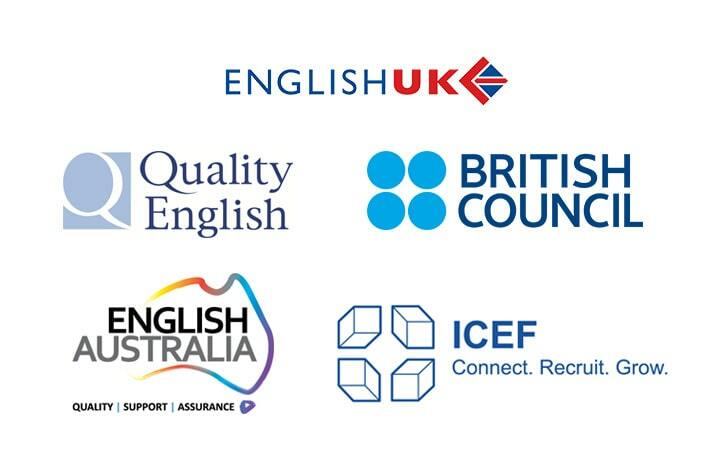 The school is accredited by the British Council and is a member of Inglés UK, IALC and TEN, which guarantees the serious and professional character of all the courses we offer. The school consists of twenty classrooms, a library, a student lounge, a coffee and a large terrace. Students have free access to wireless internet throughout the school and accommodation. All are welcome at the International School of Torquay, our goal is to ensure that all who join a course TIS get the maximum benefit and enjoyment of your stay with us. The school is just a few minutes walk from the center of Torquay and is surrounded by extensive gardens and a volleyball court. Our own hotel residence, Club TIS is opposite the school. The school offers its students a program of activities in the evenings and on weekends. The program depends on the time of year, but typical activities include barbecues, visits to the cinema or theater, sports and excursions to tourist and cultural attractions such as Exeter, Bath, Cornwall and Dartmoor National Park. Our students are at the heart of everything we do and we are dedicated to making everyone's stay with us as beneficial and enjoyable as possible.